Today we're pleased to release our new rendering backend, providing publication and presentation-quality schematic images in a variety of formats. For printing, we now provide true vector PDFs which look sharp on paper and on-screen. For presentation or inclusion in documents (such as when using Microsoft Office, OpenOffice / LibreOffice, or Google Docs), we offer PNGs at any size. For publication, we provide EPS files to insert into LaTeX, TeXmacs, or similar typesetting systems. And for the web, we provide SVG files that look sharp at any size. 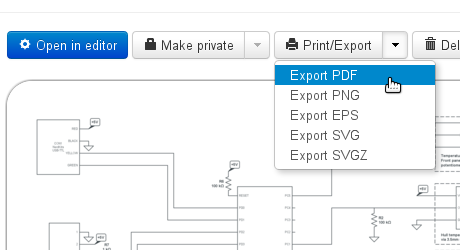 Some example schematic exports from the NerdKits Sous Vide Controller can be found here: PDF, PNG, EPS, SVG. We hope you find that CircuitLab is now the easiest way to produce schematic images for reports, presentations, publications, and sharing! Ok, this is really really good! 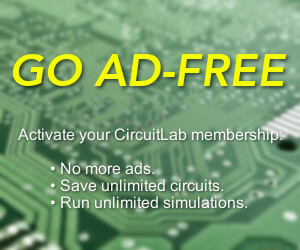 However, can we still have the option of printing with the CircuitLab logo and border? I really liked it! I know I may be in the minority, I just thought it looked sharp. Maybe a simple checkbox? When I try to do this with any schematics, a new tab opens up with a "403 forbidden: access denied" error page and no file starts downloading. Any tips? 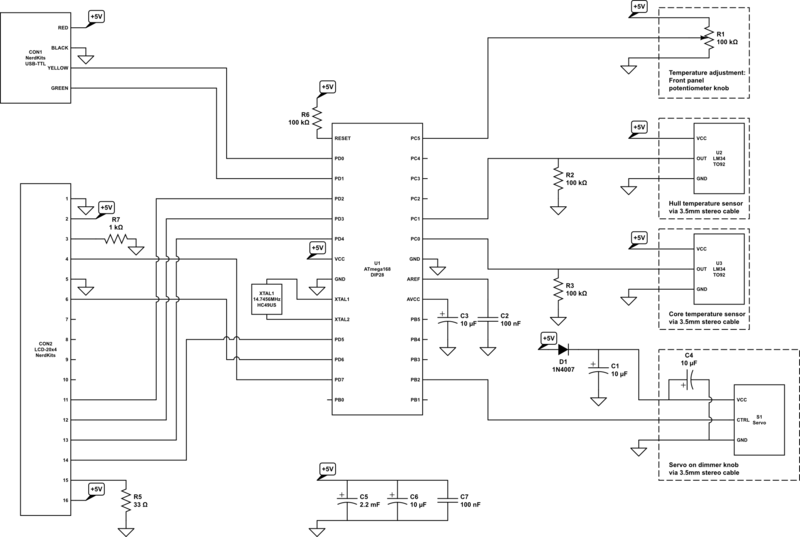 I'd like to be able to export to a schematic file (like eagle or similar) for use in PCB designers.